Around the end of 1995/beginning of '96, I recorded and released a 17 song album, Squatter's Inc., with a group of friends in Los Angeles. It started off as a concept album, but that idea was quickly discarded. I finally dropped the AIFF files onto Bandcamp knowing exactly how easy it is to steal streaming audio off the net, but trusting in my fellow humans best impulses. Take a listen...all the tracks are there...if you enjoy it and want to hear it again, I think the price is reasonable. There is a pretty good chance this year will see more releases from myself and a band of fellow punks. 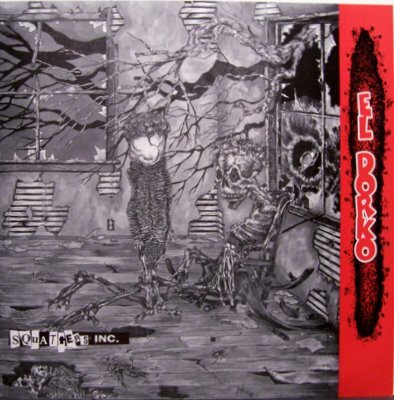 I'm not sure at this point if El Dorko will rise from the ashes or if a new band name will carry the message forth, but I am excited by the new material.